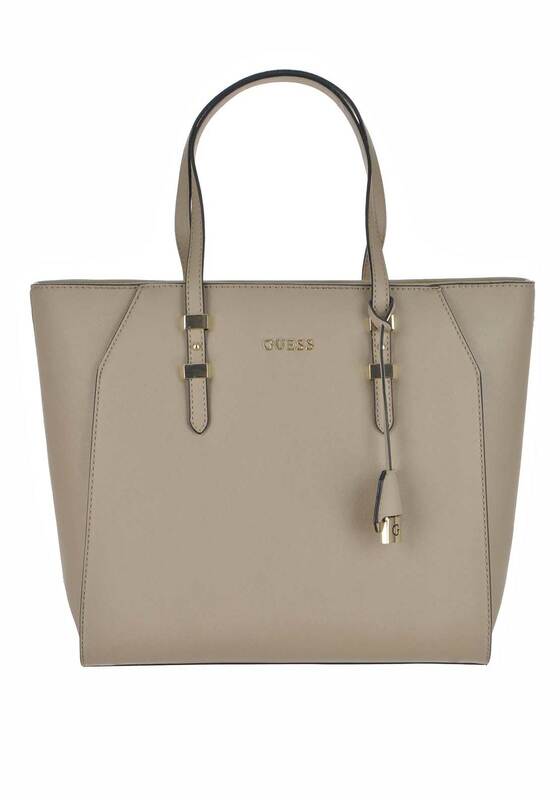 Add the finishing touches to your chic daytime look with the classic Sissi large tote bag by Guess in a textured taupe faux leather. 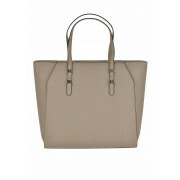 This simple yet stylish bag has classic Guess branding on the front, double top handles and a detachable branded charm. A spacious interior reveals Guess branding and a branded dust bag to keep Sissi clean.